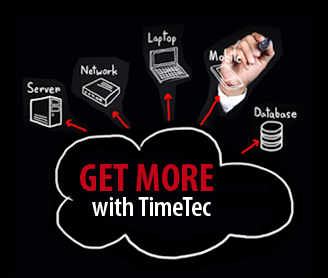 There are a few factors to be considered when it comes to buying hardware solution. The top 3 factors are Price, Feature and After-Sales Support. Once the sales are concluded, the only thing left that connects the customer and the company/brand is customer support. Customer’s experience in this part of the business can be a significant determinant of possible repeat sales in the future and how your clients perceive your brand. In fact, 82% of people drop a company because of poor customer service as reported by the 2010 Customer Experience Report by RightNow (http://media.stellaservice.com/public/pdf/Customer_Experience_Impact_North_America.pdf) And, creating positive customer experiences will make the customers tell this experience to at least 9 more other people. So what does it take to offer good customer support? 1. BE RESPONSIVE – Answer the phone, attend to emails, check comments on social media, meet the clients. The cardinal rule of customer support is to be responsive. Nothing is more annoying and frustrating for a client than be left on hold, answered by a machine and ignored by real people. 2. KEEP YOUR PROMISES – Think before you promise. Many people want to get out of a sticky situation by making false promises. Avoid promising something you can’t deliver because these false promises will come back to bite you or your brand. 3. LISTEN & DEAL WITH COMPLAINTS – When people come to customer support with complaints, you listen. Never play a blame game and the objective of customer support is always to solve problems. Nothing in this world is perfect and so are any products. Even though the problem is trivial, the solution is simple and the mistakes made by the customers, it’s how customer support handles the situation will make or brake your brand. 4. KNOW YOUR SUBJECT – When a customer support representative is available but knows very little about the subject at hand, customer’s frustration mounts. Train your customer support well so they are equipped to answer questions related to your products there and then, providing customers with solutions at least 95% of the time. 5. GO THAT EXTRA MILE – Don’t be happy because you can get rid of the complainant as soon as possible, be happy that you are able to solve customer’s problems and retain happy customers. Assess the damage the clients had to endure and go to that extra mile to offer them comfort. A discount coupon for the client’s next purchase is a great example or a small token of souvenir could bring back a smile of a customer’s face. 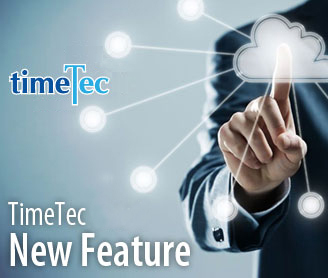 FingerTec is a brand that is built on its customer support apart from its excellent product quality. 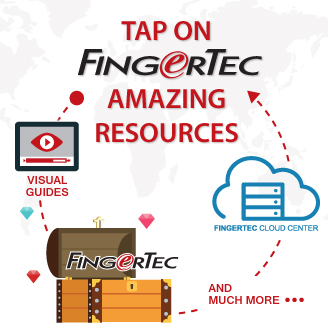 FingerTec Customer Support is available 365 days 24/7 to attend to our worldwide clients. We team view, we Skype, we email, we answer call, we even FB to reach our clients. 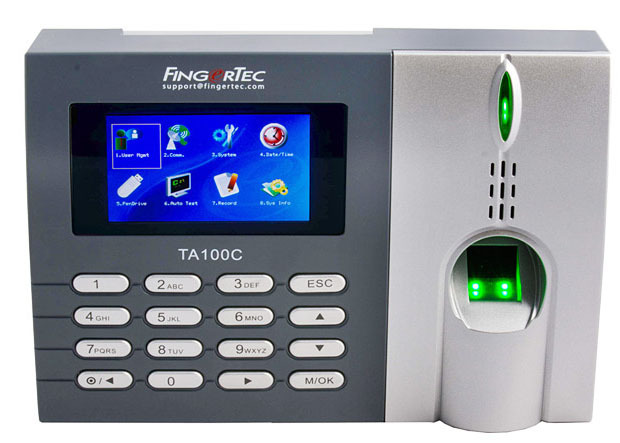 Buy FingerTec’s hardware and you will find the support email (support@fingertec.com) printed on top of our hardware to emphasis our priority on customer support. Skype is a way to get closer to the FingerTec Teams. 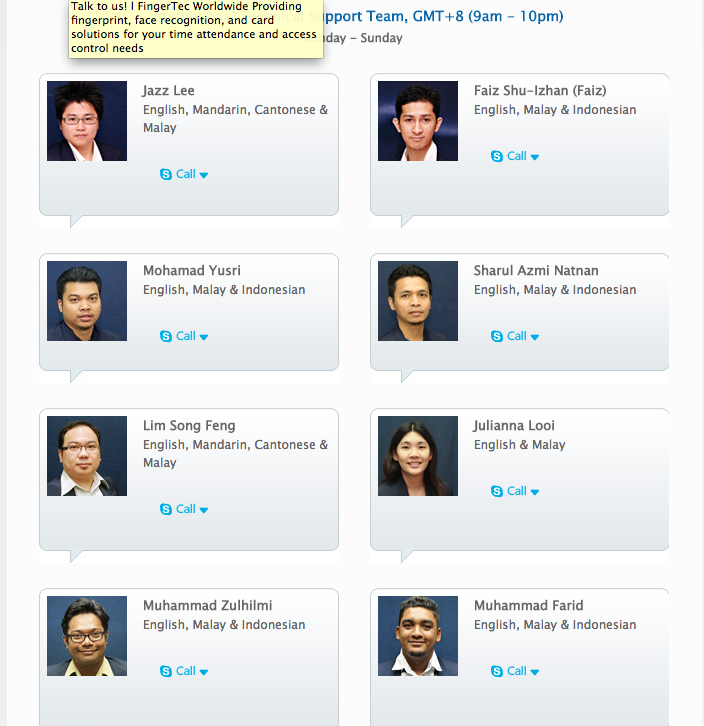 Our Technical Team is available everyday from 9am to 10pm (GMT+8).